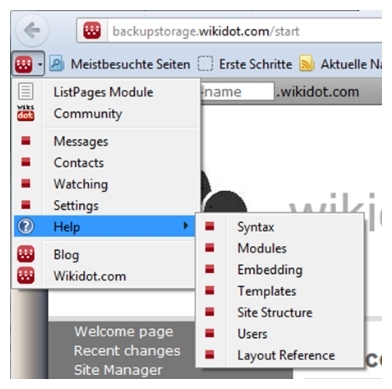 Community Blog » Firefox-Wikidot-Toolbar found - test it! Of course - you can insert such a menu-block everywhere on your top bar by your own (we should build a snippet code perhaps for other browsers?) but I like the possible standard selections used here. How can I add this tool in my Firefox? Go to ( copied from our own howto: [*http://community-playground.wikidot.com/external-add-ons-for-wikidot-com and follow the instructions. is this avail able to safari or other browser . ?